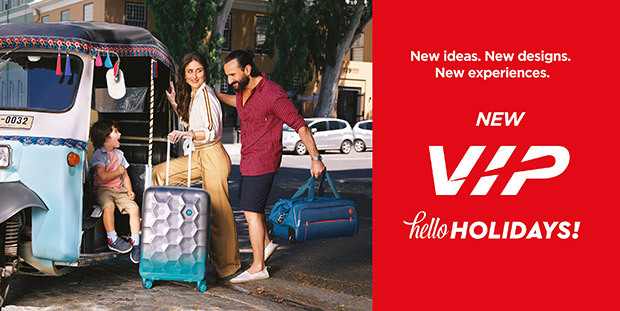 Luggage brand VIP Industries has released a new ‘Happy Holidays’ campaign featuring celebrity couple Saif Ali Khan and Kareena Kapoor Khan for its homegrown brand VIP. 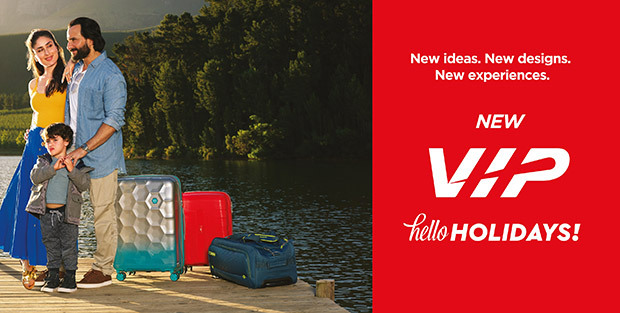 The brand has transformed itself with a new philosophy of ‘Hello Holidays’, targeting young and contemporary families. With emphasis on people who love to travel, VIP Bags aim to be a family’s most preferred travel gear. 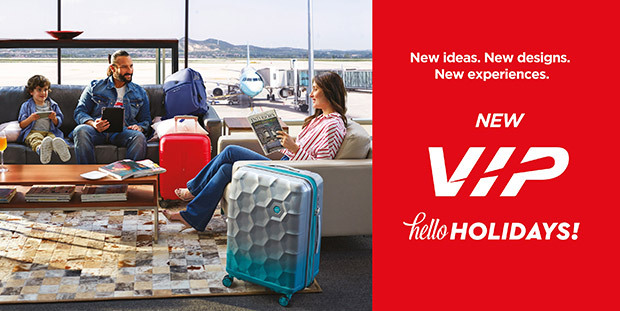 The re-launch touches every dimension; unveiling a new brand logo and identity, a new consumer proposition and a new collection that embodies the new VIP. The 50-year-old brand, in its latest TVC campaign, illustrates the transformation of India’s pioneering luggage brand. The new campaign captures the zeitgeist of a family holiday, a journey across different cities, experiences and situations featuring Saif and Kareena (with a kid in tow), and their trustworthy companion, VIP Bags. The campaign features new ranges such as ‘Fairway’, ‘Scope’, ‘Conrad’ and ‘Ascend’, which embody the revamped brand essence through the collection’s contemporary colors, styles and variants are definitely a must have. The re-launch will be a complete 360-degree campaign and will be promoted across all platforms such as TV, print and digital. The new and improved version reflects VIP’s endeavour to consciously keep the brand fresh, trendy and steer it to the liking of the new-age traveller.